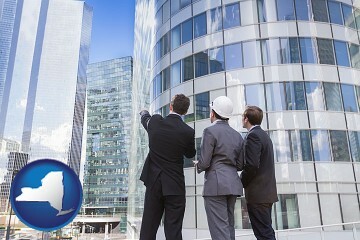 This web page provides convenient access to commercial and industrial real estate services that are located throughout New York. 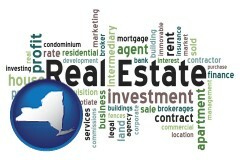 Each New York commercial real estate service listing includes a company name and a website link as well as location and contact information. Because there are many commercial and industrial real estate services listed in New York, the following menu(s) can be used to locate a commercial real estate service in a particular county or city. 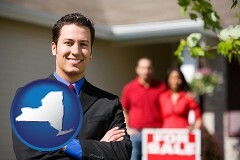 Before visiting any of these New York real estate organizations, be sure to verify their address and hours of operation. A commercial real estate service may have relocated or ceased operations, and business hours can sometimes vary seasonally and during holiday periods. So a quick phone call can often save you time and needless inconvenience.